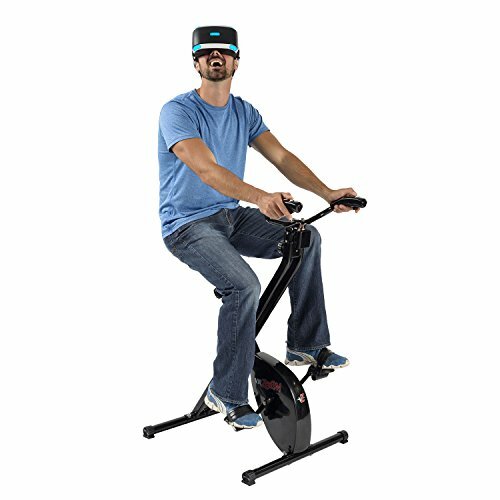 The VirZOOM Virtual Reality Game System includes a folding VR bike controller and the continuously evolving VirZOOM Arcade games that motivate you to pedal! VirZOOM is currently compatible with PlayStationVR, HTC Vive and Oculus Rift (Headset Sold Separately). Play VR games. Get fit. Includes an evolving suite of VirZOOM arcade games: Be the car in the race, the tank in battle, the pegasus in flight... on VirZOOM! If you have any questions about this product by VirZOOM, contact us by completing and submitting the form below. If you are looking for a specif part number, please include it with your message.